Karbonn is the new mobile manufacturing company in India which is launching its good and unique model of mobile phones in the Indian market. There are a number of good models of mobile that the company has launched recently. 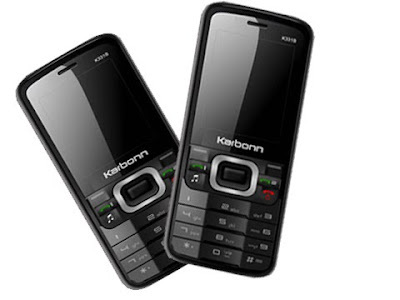 The new models that are Karbonn K505 and K444 Star. The price of the Karbonn K505 is Rs 3500 and Karbonn K444 Star is Rs 3000. 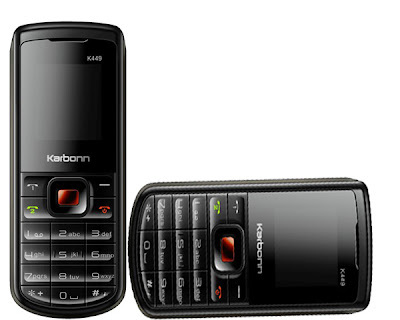 The Karbonn K505 and K444 Star are the two models which are enabled with many exciting features. The Karbonn K505 look and body structure is very nice and thus the Indian customers will die for it. The mobile is a dual SIM mobile and is having many features such as music player and video player facilities. FM radio with recording facility is also present in the mobile phone. The TFT display is very nice and internal memory is also present in the mobile phone. The camera resolution is very nice. 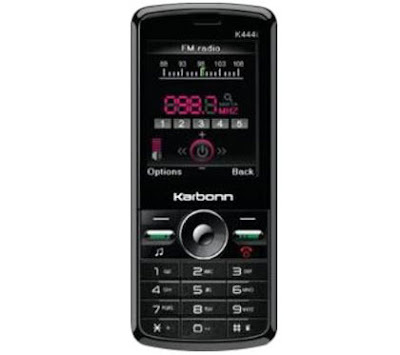 The Karbonn K444 Star is also a superb mobile which is enabled with many good features. The display quality of the mobile phone is very nice and the mobile also comes with internal memory. The external memory can also be increased. The mobile is having internet facilities with good battery back up facility. Karbonn K505 dimensions are 110 x 47.7 x 14.3 mm and the weigh of the phone is 80 g. the mobile is having 128MB RAM and the external memory of the mobile phone can be increased to 4GB. The mobile supports dual SIM facility. The mobile contains 2.2” TFT screen with good picture resolution the camera is of 2MP with digital zooming facility. The video player of the mobile supports a wide range of video formats. The battery back up of the mobile is very nice. Internet facilities are also enabled in the mobile phone. The Karbonn K444 Star is the next mobile whose dimensions are 105 x 46 x 16 mm. the weight of the mobile is 100g. The internal memory of the mobile is 1MB and the external memory of the mobile can be increased to 8GB. There are many other features such as one touch FM keys. The mobile comes with embedded games and thus the users can take the benefit of it. Internet facilities are also enabled in the mobile phone. The Karbonn K505 and K444 Star are the good models form the Karbonn Company and are sure to rock the Indian markets.